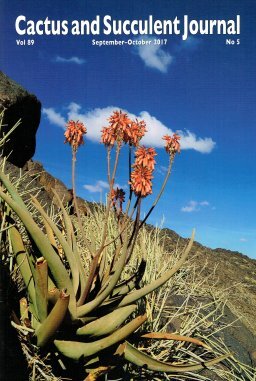 On the cover: Aloe collenettae is critically endangered in habitat, where it is restricted to a single hill. Tom McCoy has visited the population many times, and the dramatic cover image captures the bleakness of the spot well. It also serves as a fitting tribute to Sheila Collenette, for whom the plant is named.